In the podcast of Nico Rosberg, the Briton explained the tensions he experienced with his leader in that Tour. "In the Vuelta I went to support him and he fell apart," Froome said. 2012 was an important year for British cycling and for Chris Froome. The current leader of the Sky team became known in the world of cycling with a season that enshrined his later legend. He signed his second podium in the Grand Vueltas on the Tour, after the Vuelta a España of the previous year. Your compatriot Bradley Wiggins was then his head of ranks, conquering the Tour general in 2012. Now, almost seven years later , Froome has admitted that there were moments of tension between Bradley and him, since the Kenyan-born British himself considered attacking his teammate. These tensions were evident in the etapa 11, on the rise to the Toussuire, that Grande Boucle, when Froome overtook his leader until his director, Sean Yates, restrained him. 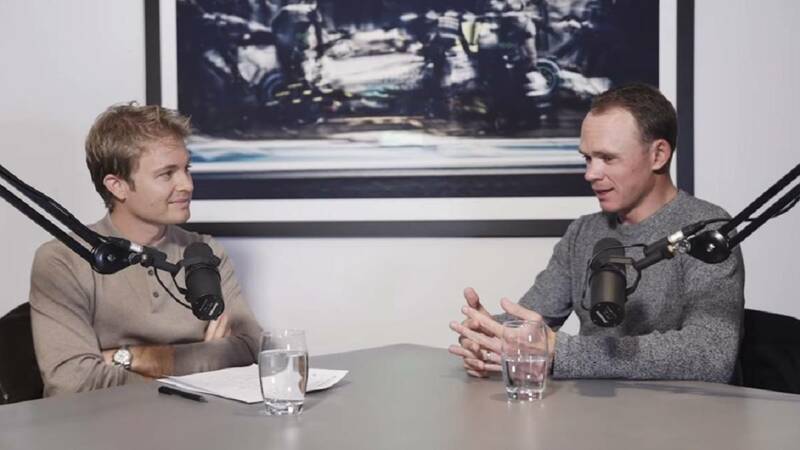 This was explained by Froome in the podcast 'Beyond Victory', talking to Nico Rosberg, former world champion of Formula 1: "Definitely there were a couple of moments where I thought 'well, I'm going to do it now' . For that attitude, Wiggins said in 2012 feeling "stabbed in the back" . But these tensions between the two riders were not developed in the Tour, as Froome had to deal with a difficult situation in the Tour of Spain last year. "The difficult part for me was to trust him as a leader, given that in the last great race, the Tour of Spain, I went to support him and he collapsed in recent days. The team turned to me and said: ' right now you have to try to win, "said Froome, who nevertheless acknowledged to Nico Rosberg that he does not regret having worked for Wiggins:" When I arrived at the Tour de France I had this in mind. I was thinking: 'I'm making a I work for this guy, but if he falls apart in the last few days, I need to be in position to take over again. "2 I was also quite young at the time, I had more Tours to come, I was at the peak of my career, That was their year, and being part of a team, you have to make sacrifices here and there, that was a sacrifice for me, I do not regret it, that's sport. "